Kathryn is a divorce and family solicitor with Woolley & Co, based in South Wales and has strong links with West London. She specialises in divorce and separation, as well as related financial matters, and has a particular interest in disputes around children. This includes specialist knowledge of applications by a parent to move with a child to another country. Kathryn has been named as a Leading Individual for Family Law in Wales in Legal 500 for the last five years. Legal 500 notes that Kathryn is a “star performer”, praised for her “pragmatic advice” and who “takes a no-nonsense approach but is also very empathetic and understanding of her clients’ needs”. 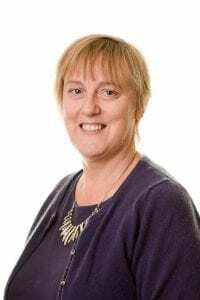 Kathryn has achieved success in a number of High Court matters involving complex and cutting edge children issues and the reported case of Re O (A Child) (Fact Finding) is an example of the specialist work Kathryn undertakes involving parental alienation and implacable hostility. “The modern family has a range of needs and I am able to help those who wish to plan in advance with prenuptial or cohabitation agreements as well as advising where relationships have broken down. I draw on my mediation experience and collaborative law training to provide a family law service that acknowledges the trauma of separation while remaining constructive and forward looking. I try to preserve dignity and humour in the most challenging of situations. I always encourage clients to give due consideration to the fact that, in many cases, relationships between them and their former partners need to continue into the future. Kathryn qualified as a solicitor in September 2002 and joined Woolley & Co in 2010 from a law firm in London.